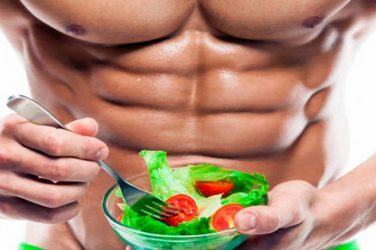 If you’re like virtually anybody else who goes to the gym in an effort to add as much muscle mass is possible, then you’ve put at least some thought and effort into how to maximize those gains. A obviously one of the greatest areas of debate here is that running program itself, and how exactly you should tailor it do best fit your needs. One of the most effective ways to do so is by adhering to the 5×5 routine, which is one that many fitness experts swear by in its effectiveness. If you’re unfamiliar with this concept is pretty straightforward as it is just as its name implies, it revolves around doing 5 reps in 5 sets. This program works by alternating between two different types of workouts, three times a week. All these exercises are performed in straight sets, adequate rest taking in between each set. On average this amounts to anywhere between 60 seconds and 3 minutes of rest in between sets. 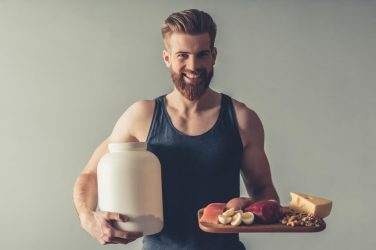 Another important concept here to remember is that this type of routine is a progressive one, meaning that as you progress the three your routine are going to be adding more and more weight in doing so. You should continue to add weight to the exercise until you reach the point where it is affecting the amount of reps you can put out. Keep adding weight to the exercise until you can’t get to that five repetition max. Another important components of this routine and virtually any other type of routine that you’ll be employing here, is that you want to be revolving your routine primarily around compound exercises, and not isolation exercises. This is because if you’re working out for the same amount of time, you’re going to get more out of doing compound exercises as they require the recruitment of multiple muscle groups. This is opposed to your isolation exercise which only revolves around one muscle group, meaning you are exerting yourself less through these types of exercises. What Are the Benefits of 5×5 Training? A great benefit of this form of training is that it is a great introduction rematch did for those who are new to the gym. This type of program is going to introduce these newcomers to more difficult, yet more beneficial exercises which are going to work multiple muscle groups simultaneously. The truth which many newcomers don’t want to hear is that they need to be focusing more on these compound exercises, as they’re going to see the most results in the quickest amount of time from doing so. Spending your time primarily in doing things like bicep Curls, tricep extensions, and other popular exercises when you’re new to the gym is not going to be the best use of your time. If you’re not someone is new to the gym and are curious as to what benefits an advanced person can get from this routine, it is extremely effective in helping people to diagnose weaknesses. 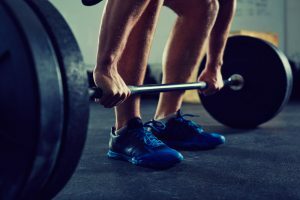 Again this type of routine is going to heavily involve the use of compound exercises, which of course involve the recruitment of many different types of muscle groups. If one of these muscle groups is lacking it’s going to negatively impact your lifts here, and give you a good idea of what areas you should be targeting. A great example of this is just to do your traditional deadlift. Many of us do to our sedentary lifestyles have weaker gluts and supporting back muscles, which can negatively impact this type of exercise. If you’re noticing that you not able to live as much weight is here as you’re expecting, than you are more than likely deficient in another area need to catch up on.